Optimum angle and unidirectional tread pattern combine for maximum water drainage without increasing noise. 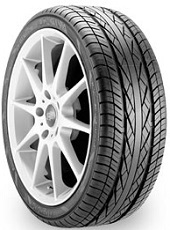 Ultra-low profile tires place a heavy burden on wheels. AVID H4/V4’s Rim Protector Bar helps protect expensive wheels from pothole and curb damage. The AVID H4/V4’s reinforced construction and extra load designation effectively provide increased load-carrying capacity for plus size capability. AVID H4/V4’s Contoured Bead Design enables better tire-to-rim fit for reduced friction, improved handling, increased durability and a smoother ride. This unique honeycomb structure makes the AVID H4/V4’s tread compound stronger than conventional compounds, enabling the tire to withstand forces from multiple directions. This provides tremendous flexibility, tenacious grip and increased wear resistance.